Great friends arrived on the 24th of April. Five Mexican-Americans, Rafael, Enrique, Edgardo, Fernando and Rogelio were welcomed at the airport by Gabriel, the company representative. He drove them straight to the field in the area of Jesus Maria. Richard, John, Damon, Jason, Brad and Walter arrived on the 17th of April at Cordoba Airport. 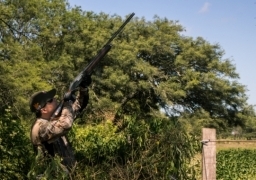 There, Federico, our guide and company representative was waiting for them to take them straight to the hunting field. 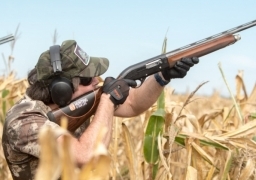 The hunting that day was taking place towards the east of Jesus Maria city. 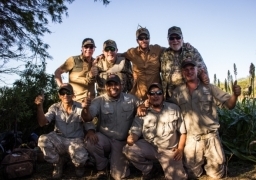 From Texas to Argentina, we receive another group of friends ready to have the hunting of their lives. Thomas, John, Juan Antonio and Casey. They arrive very early in the morning so our driver takes them straight to the lodge. 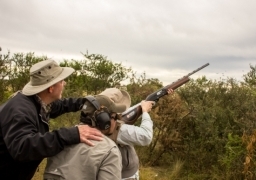 Hunting in Argentina is awesome all year round, but our guests have chosen the Fall to come to this country which offers amazing hunting experiences. We welcome Chad, Augusto, Kevin, Bill, Tim, and Don. They are all friends who met because their kids attend the same school. 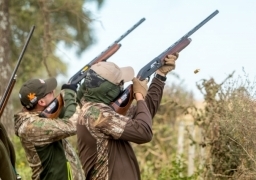 Fall has already set in in Argentina and April is giving our guests magnificent weather to enjoy unique days of hunting. Warm, sunny days make the stay 100% enjoyable. 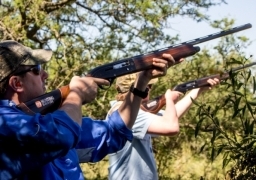 Our guests George, Christopher, Robert and Daniel come from Texas and they are passionate hunters and fishermen. Andrew, Clinton and Daniel arrived to Cordoba on the 14th of March, very early in the morning. 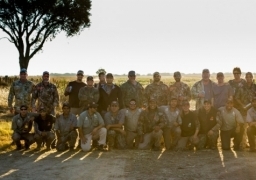 We picked them up from the airport and drove them straight to the field for them to enjoy their first hunting session in Argentina. 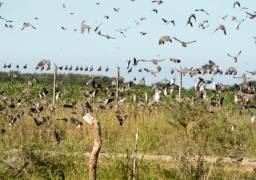 The Smithie group of four recently joined us and chose to stay at La Loma Lodge. Steven and Katherine live in the Dallas, Texas area while Laura and Warren reside in Missoula, Montana. 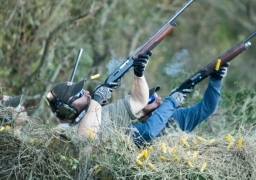 The only experienced hunter of the group recently underwent back surgery and was unable to shoot. Rick Monical, his daughter Tara, and his soon to be son-in-law Chris Wemmert arrived at La Loma Lodge late in the evening on a Wednesday. 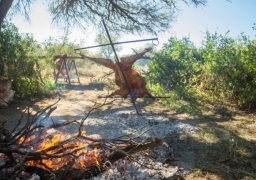 Since their plane landed in Cordboba at night, they were not able to hunt on the day of their arrival. James, James II, James L and Mark arrived at Cordoba Airport on the 13th of March. 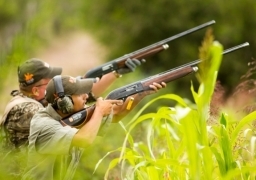 Our guide and driver Federico picked them up and took them straight to the hunting field in an area called La Para. There, they hunted up to 12.30 when they enjoyed a delicious lunch. On the 12th of March we welcomed Everette, Thomas, Kevin, Matthew, Thomas and Justin. 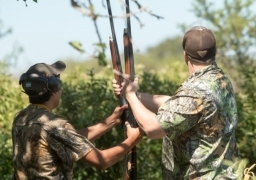 Juan, our driver and company representative picked them up and drove them straight to the field where they got into their hunting gear to start their first hunting session. When our guests come at midday, we like to take them straigh to the field to join the fun as soon as posible. So we welcomed Jorday, Justin, Gerald and Robert at the airport. One of our drivers was waiting for them and our hunting guide was also waiting for them at the field. After dinner, I made my way to the airport. A bit after midnight a new group was arriving. The 10th of March, we welcomed Larry, Terry, Brandon and Jason. We took them straight to the hotel to have some hours of sleep before their first hunting session.